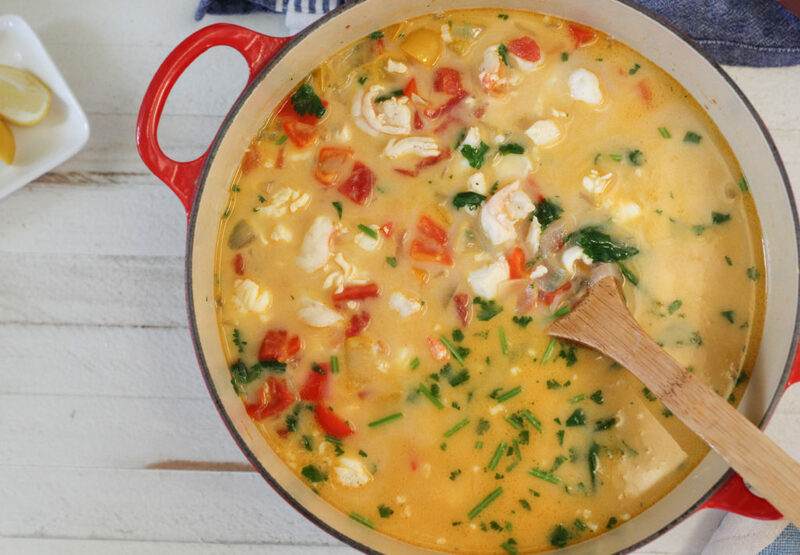 Every fishing community around the world touts a seafood soup better than all the rest. Let’s be honest, you really can’t go wrong with fresh seafood in a tasty, aromatic broth. 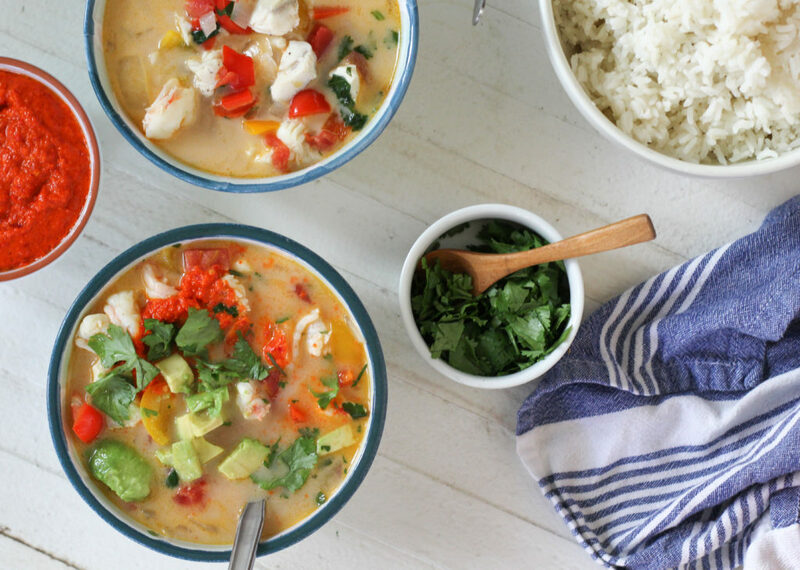 I’d say bouillabaisse, tom yum, and my grandma’s Bahamian conch chowder are high on my list, but I’ve recently come across a new contender: Brazilian moqueca. It’s a unique combination of ingredients, but it tastes so familiar, like all my favorites in one bowl. 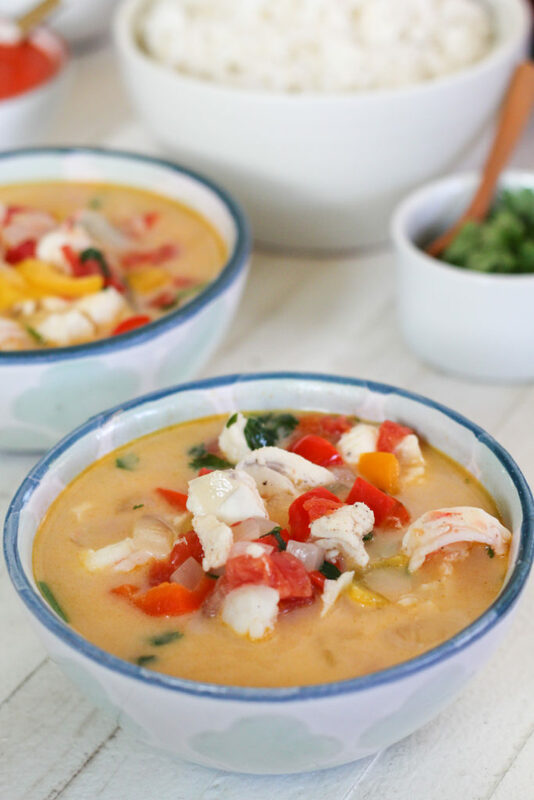 For my take on moqueca, I start with whatever combination of seafood I’ve got around. This time it was a lobster tail, a handful of fresh Key West pinks, and a filet of that halibut I caught last summer (yeah, still eating it). 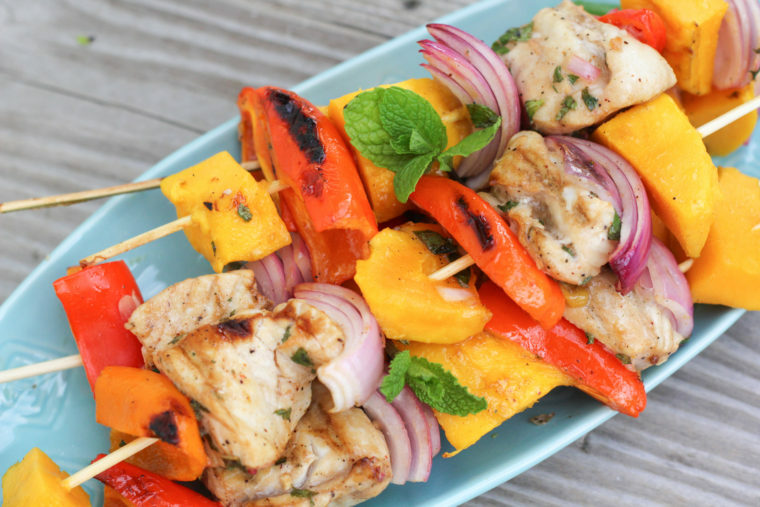 Cut it into bite-sized pieces, then toss it with fresh garlic, salt, and pepper. Now it’s time for the broth part. The pompano were running on the east coast around Christmas. They’re fun to catch and almost too cute to eat. I swear Toby was more excited to make broth out of them than he was to catch them or eat them. I have to admit, they do make incredible fish broth. We saved all the carcasses and did just that. 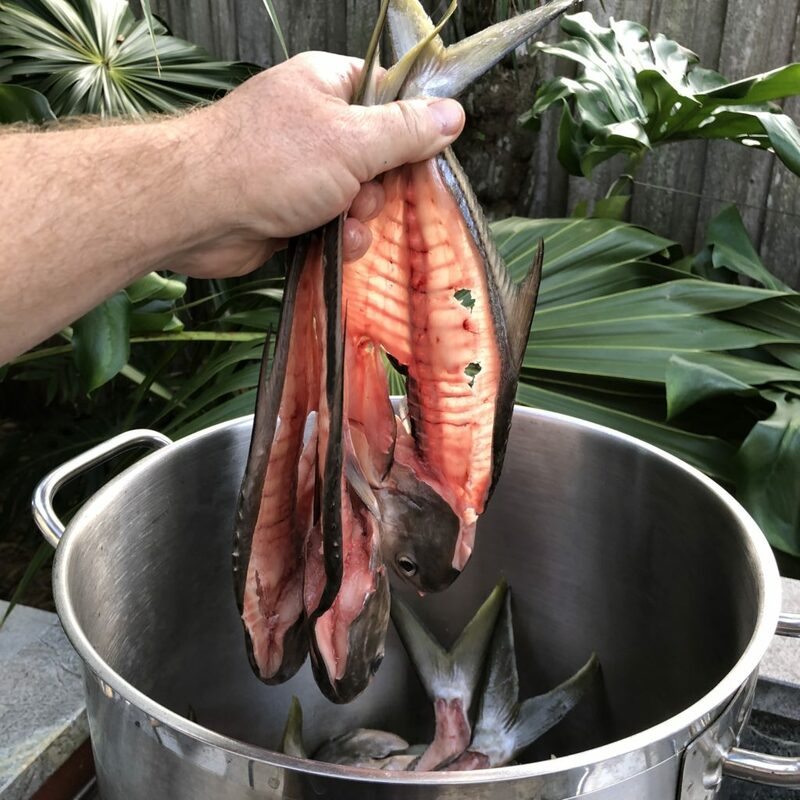 Here’s a link for homemade fish broth. 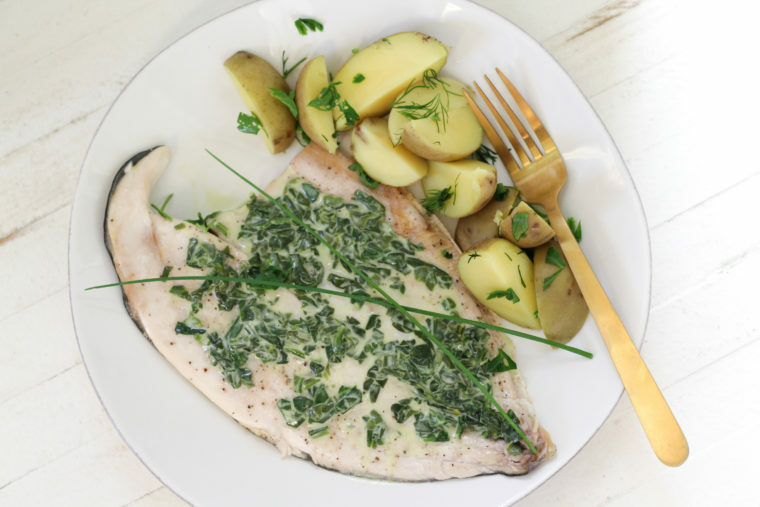 I realize it’s not practical for everyone, but if you’re a fisherman, it’s a great way to make the most of your catch and, of course, the flavor is outstanding. In lieu of fish broth, sub in an equal amount of seafood or vegetable broth, and maybe add in a bottle of clam juice. 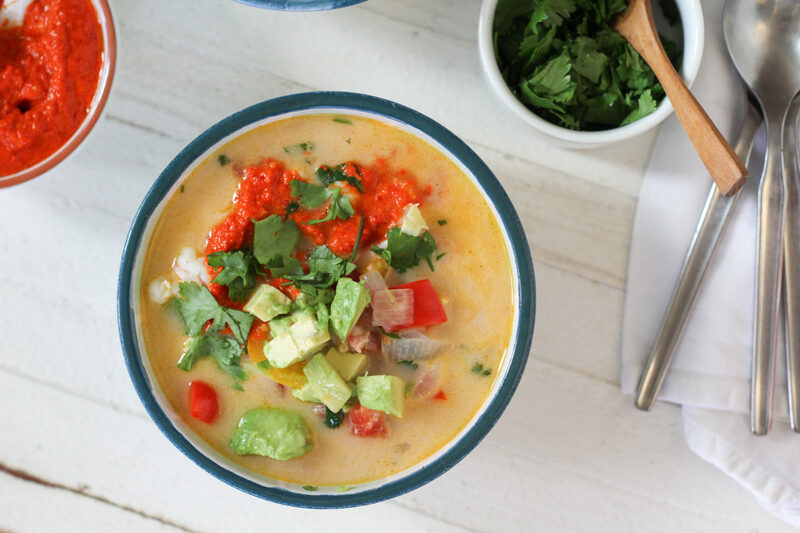 The broth is flavored with onions, peppers, and tomatoes, and finally, a velvety swirl of rich coconut milk plus a bright kick of key lime juice. Moqueca is traditionally served with a pepper sauce, and I’m including a recipe for one below. After eating this a lot recently, we fell back to our friend Sathima’s nam pla prik for even more heat. If you’d rather grab your favorite bottle of hot sauce, that’s fine, too. 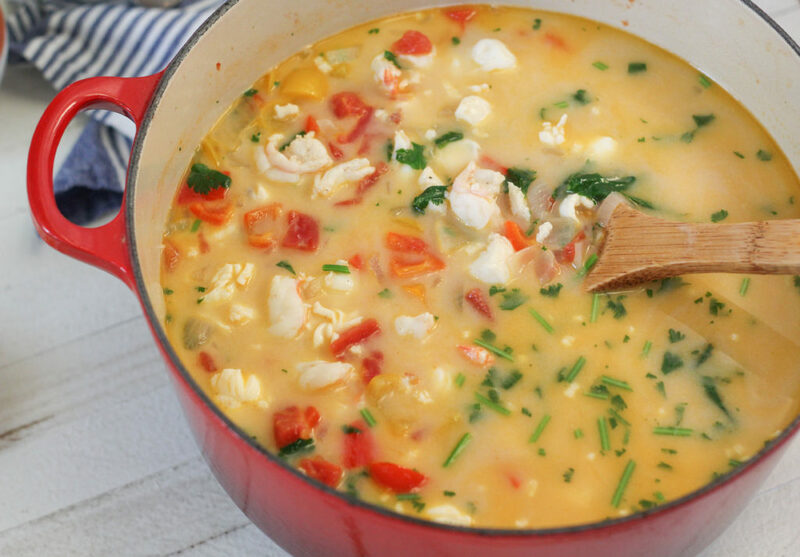 Tell us about your favorite fisherman’s stew in the comments below. 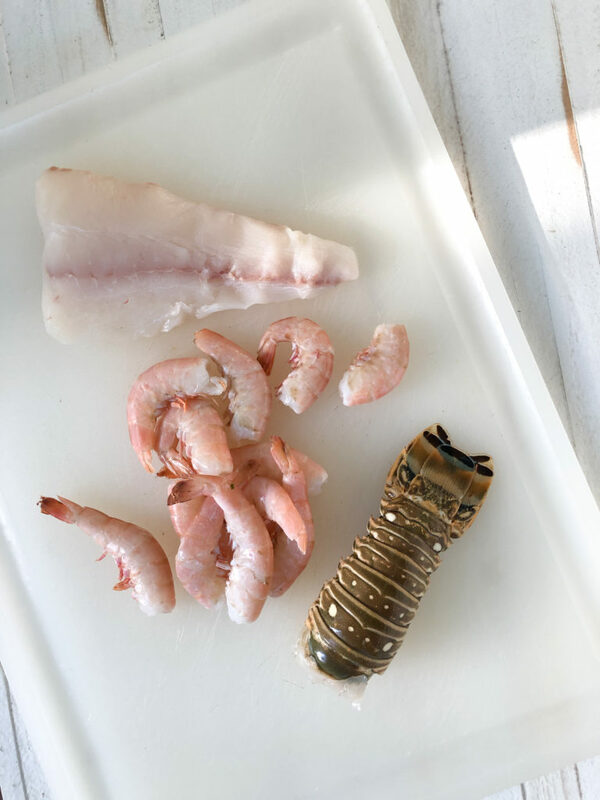 Cut the seafood into bite-sized pieces. 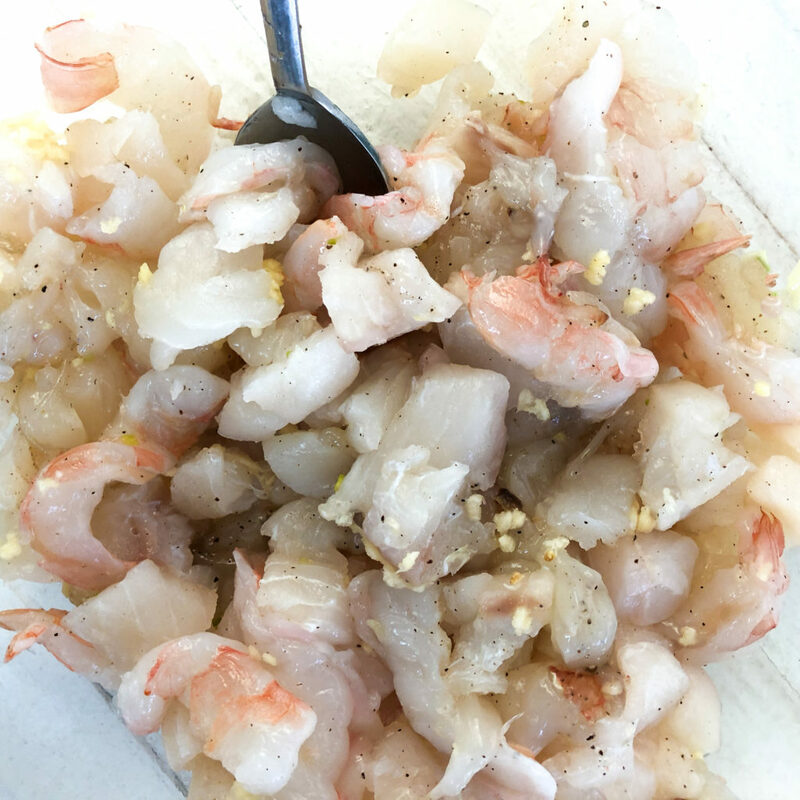 Toss with garlic, salt, and pepper. Set aside. Heat the olive oil in a large Dutch oven over medium. Sauté the onion. Once soft, add the peppers. Sprinkle with a little salt and pepper. Cook about 5-7 minutes, or until softened. Stir in the Rotel and cook for another 5 minutes. Raise the heat to high and add the fish broth and half the cilantro (some thin stems are fine here). Once it comes to a simmer, stir in the coconut milk. Bring it to a boil (bubbles over the surface). Add the seafood, put a lid on the pot, and turn off the heat. Allow to sit 8-10 minutes. Once you open the lid, give it a good stir. 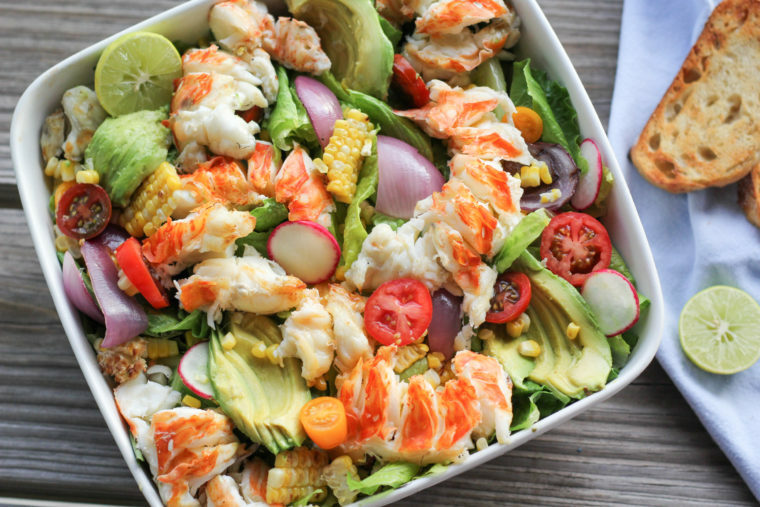 The seafood should be plump and cooked tender. Stir in the lime juice. Serve over rice if you like, along with remaining cilantro, avocado, and the pepper sauce that follows or your favorite hot sauce. Blend the ingredients in a food processor until smooth, scraping down the sides of the bowl as needed. Can’t wait to make this! I sounds delicious with the coconut milk. I found the original recipe in the 2018 Cooks Illustrated you gave me. So good. This looks amazing, especially with Toby’s pompano broth! My favorite fisherman’s stew is conch chowder. I can never get enough. Thanks, Julie! I haven’t had homemade, non-restaurant conch chowder in sooo long. Nothing better! Ah, pompano is such a tasty little fish, but I bet you’ve got plenty of good substitutes around there. OMG I am totally making this this weekend!!! Yay! I hope you like it, Robyn!